The Cotton Hub here at UNE is the result of discussion between UNE and the Cotton Research and Development Corporation (CRDC). The Cotton Hub at UNE will deliver cross disciplinary work on the issues affecting production of sustainable cotton now and over the coming decades. It will also facilitate the deployment of required expertise in response to situations that may arise and require immediate attention within the cotton industry. 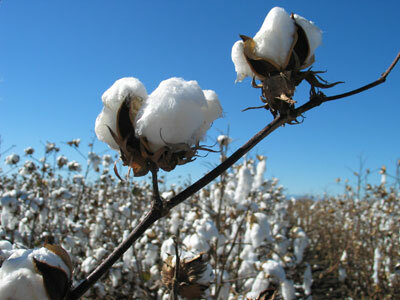 UNE has expertise that is well regarded by the cotton industry. The Cotton Hub will act as a focus, where this expertise will come together to develop responses to both open and tender-based calls from the CRDC. The outcome will be to improve the cross disciplinary responses to the challenges of cotton production over the coming decades. The Cotton Hub draws on expertise from researchers in agricultural law, agronomy and soil science, agricultural, business and resource economics, ecosystem management, law, and science and technology. Find out more about our researchers. Find all the latest industry news and information on Australian Cotton at CottonInfo. Cotton Research and Development Corporation. The Cotton Hub at UNE is still under development, but if you are interested in collaborating with UNE on issues relating to cotton production or have a question where our expertise might assist you then please get in touch. Thelaviopsis basicola has a new name, Berkeleyomyces rouxiae, but that’s all. Are our beliefs more important than science when discussing GM safety?